Autism Spectrum Disorder (ASD) is a lifelong neurological developmental condition that affects the way a person relates to his or her environment, their interactions with other people and their interpretation of the world around them. The word ‘spectrum’ describes the range of differences that people with ASD may experience and the degree to which these differences may impact their everyday life. A person with ASD often has communication difficulties, such as responding inappropriately in conversa­tions, misreading nonverbal interactions, or having difficulty building friendships appropriate to their age. In addition, they may be overly dependent on routines, highly sensitive to changes in their environment, or have intensely focused interests on a subject or item. For many people with ASD, the world can be a confusing and complex place. This can give rise to overwhelming anxiety, frustration and confusion when faced with the demands of everyday life. Anxiety, frustration and confusion may result in coping behaviours like repetitive movements, withdrawal from others, rigid routines and rituals, and sometimes aggression towards others, themselves or the environment. Some people with ASD may also be highly sensitive to sensory stimuli such as sound, touch, taste, smell, visual and movement. 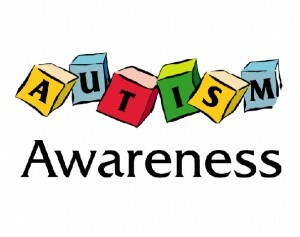 Autism Spectrum Disorder is not a mental illness nor is it caused by trauma or poor parenting. Research suggests that there does not seem to be a singular identifiable cause. Research however has identified a strong link with genetic chemistry and there is evidence of a genetic factor for many people. For some individuals, however, there may be evidence of damage or developmental abnormalities in the brain occurring before, during or soon after birth. Autism Spectrum Disorder also affects four times as many males as females. In Australia, it is accepted that 1 in 100 people have autism. Research has indicated that the prevalence of ASD is 4 times higher for boys than girls, although it has been noted that there may be many females who go undiagnosed as they may be better able to adapt to, or compensate for, aspects of ASD symptomatology than are males. Myth: Autism Spectrum Disorder can be outgrown or cured. Autism Spectrum Disorder can’t be outgrown, and there’s currently no known cure. The quality of life for many children and adults with ASD can significantly improve with early diagnosis and evidence-based approaches to intervention. Early intervention can assist individuals with ASD to develop the necessary life skills as their same aged peers. With a supportive team and a family centered approach, challenges and difficulties faced by people with ASD can be addressed. Early intervention assists in developing relationships of warmth, and individuals show a capacity to make consistent progress. Early intervention not only results in short-term benefits but also long lasting changes for people with ASD and their families.